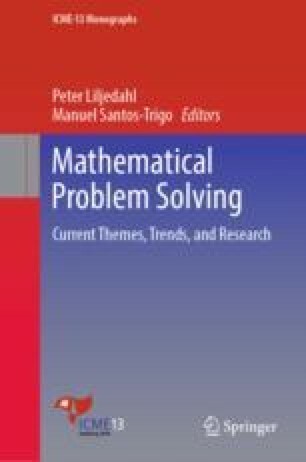 The purpose of this chapter is to highlight the importance of “thinking ahead” in mathematical problem solving. This process, though seemingly central to the work of mathematicians, seems to be largely overlooked in the mathematics education literature. This chapter presents my recent attempts to characterize future-oriented processes in mathematical work and summarizes evidence of mathematicians engaging in such processes. The main new results presented here concern students’ future thinking in mathematical situations. Student participants’ work in problem situations was analysed through the lens of mathematical foresight. This analysis serves to deepen the mathematical foresight model and opens up a number of directions for future research.